Nothing says Halloween like cool pumpkin decorations! This is a quick and cheap holiday DIY that's great for a party, or to simply get your family into the spirit. 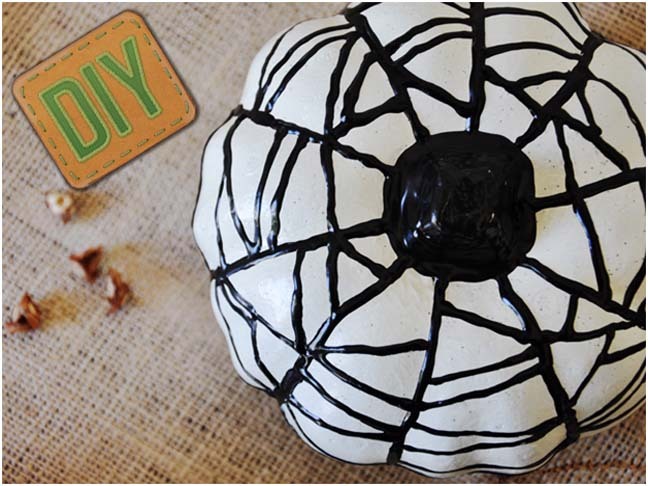 Dollar-store foam pumpkins look like a million bucks with this cool Halloween craft, so make it for your home! 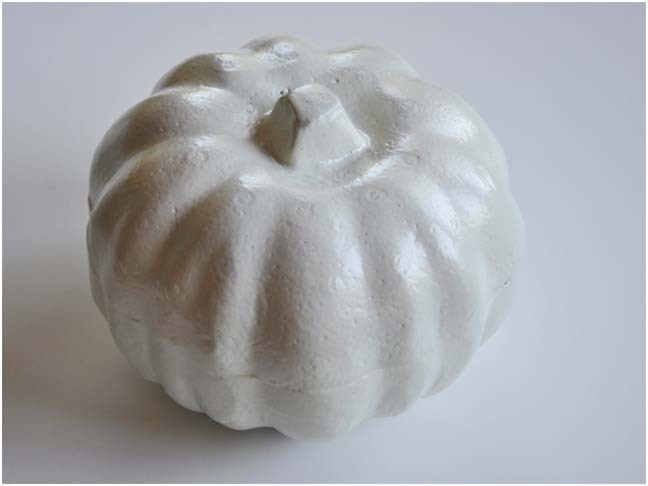 Step 1: Set up your foam pumkin on newspaper. 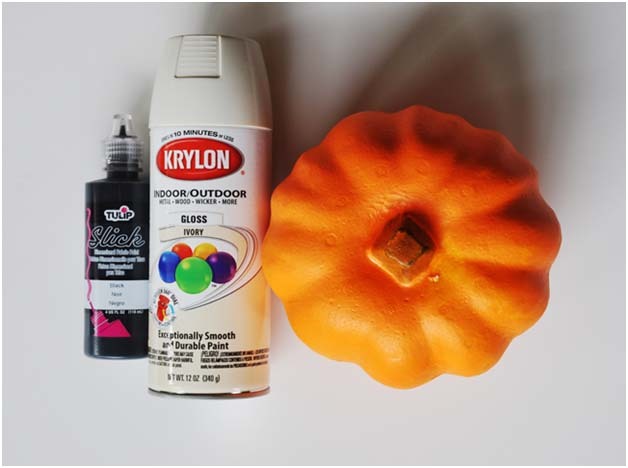 Prime and paint the foam pumpkin and allow it to dry. 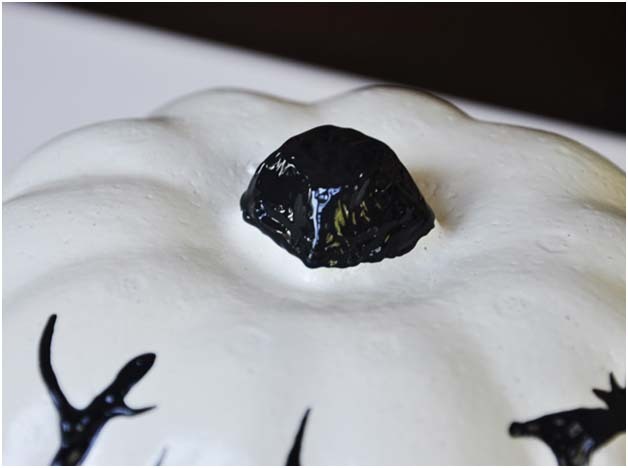 Step 2: Once the pumpkin is dry, gran your black puffy paint! 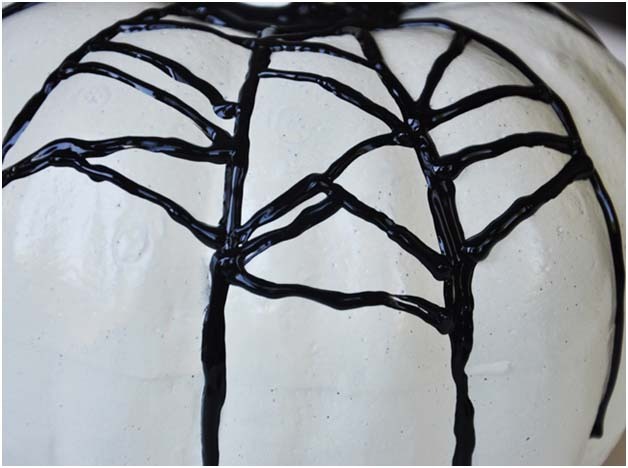 For the Spider Web Effect, start by painting the natural indentations of the pumpkin. Step 3: Follow by connecting the lines horizontally, making sure to keep it random and uneven. 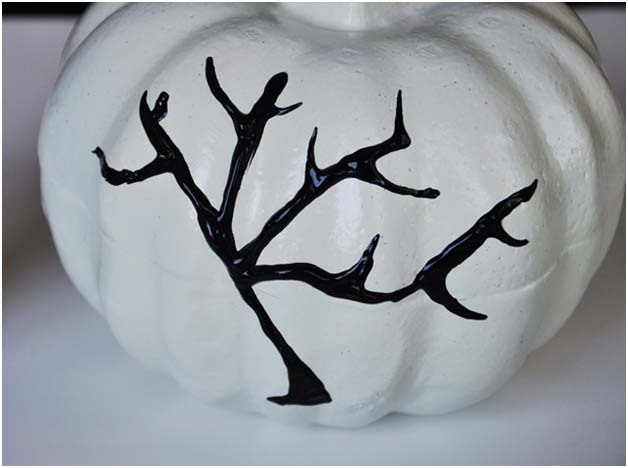 Step 4: To make a Spooky Tree, I just freehanded the image—feel free to draw on the pumpkin with a pencil first as a guide. 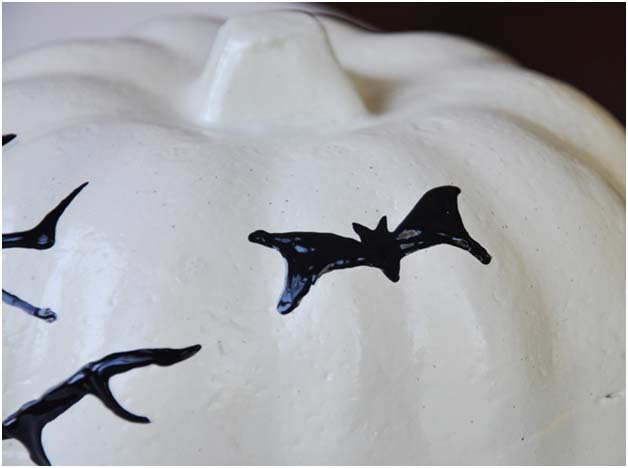 Step 5: Add a few bats to spook up the place! 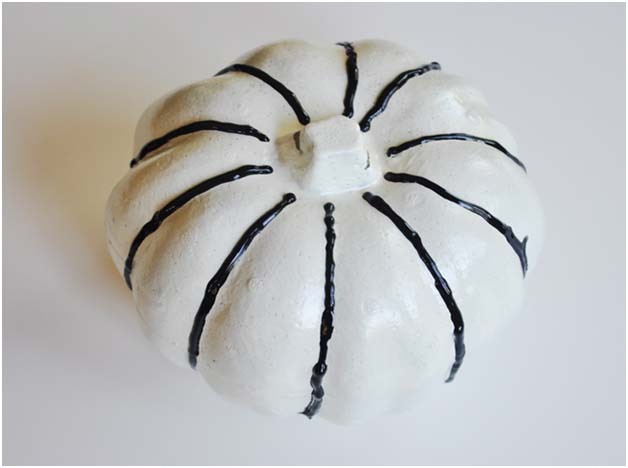 Step 6: Don't forget to paint in the stem of the pumpkin, too. Step 7: Allow to dry for at least 4 hours for the puff paint to set completely. Enjoy your Halloween! 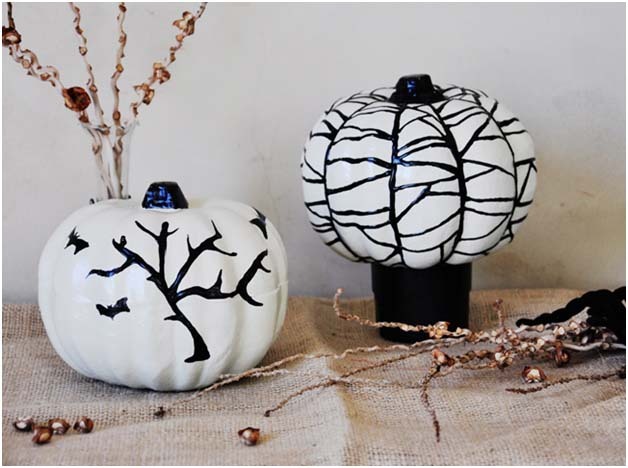 Want more DIY Halloween Decor ideas? 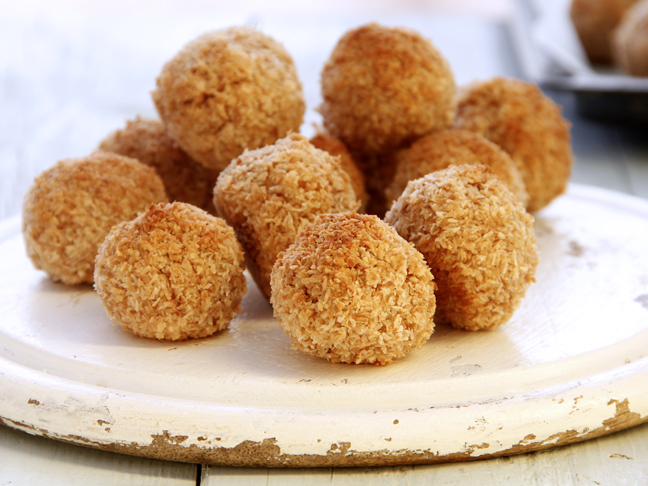 And, try these Halloween Recipes!